Cancer Council Says Young Women Putting Themselves At Risk For Skin Cancer | [All Things Tanning] For Tan Fans! A DESIRE for the perfect summer glow is increasing the risk of melanoma among young Queensland women. Research by Cancer Council Queensland shows young women are more at risk of developing melanoma than young men, with 140 new diagnosed cases among women under 35 – more than 20 per cent higher than among men. The Cancer Council said the findings were a wake-up call that behaviour of young women was putting them at risk. “From our research we know for example they (young women) are less likely to wear hats because they don’t like hat hair – some really surface-level results,” CCQ spokesperson Katie Clift said. Research director at the Melanoma Institute, Professor Graham Mann, said the use of solariums by young women before the nationwide ban in 2014 had filtered through to the latest figures, which was compiled from four-year-old data. 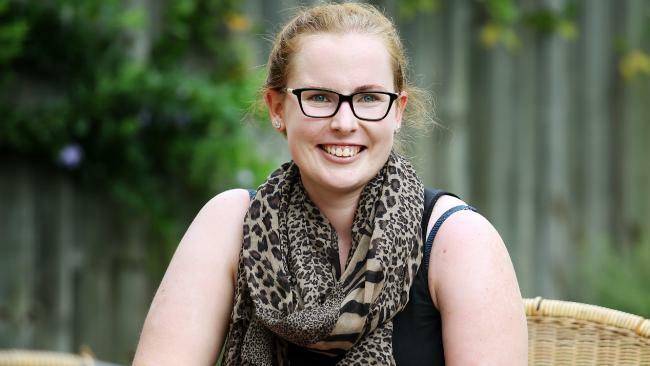 Brisbane’s Emma Betts, 24, was yesterday told by doctors for the second time that her melanoma treatment was most likely failing. Now Ms Betts, whose blog about life with terminal cancer has been shared with more than 270,000 people worldwide, is urging young women to realise the risk. “I don’t know what it’s going to take to make young women in particular realise how dangerous it is to lie out in the sun,” she said. Ms Betts was given three months to live in 2014 before a revolutionary clinical trial of the drug Keytruda prolonged her life. But in December she was removed from the trial after discovering one of her lesions had grown and reverted back to her original treatments. It comes as Queensland researchers at Princess Alexandra Hospital announced it could help patients with advanced melanoma avoid unnecessary radiation treatment and find new ways of treating radiation-resistant tumours. Lead researcher and radiation oncologist Professor Bryan Burmeister said the treatment involved taking tumour cells from the melanoma patient and testing the radiation treatment on the cells in a Petri dish. He said it would enable treating doctors to decide whether radiation was the best course of treatment.